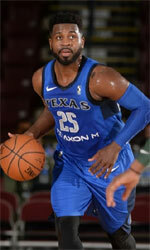 Al Wahda Damascus (Division I) agreed terms with 29-year old American forward Taylor Brown (200-89, college: Bradley) to represent the club in Dubai international tournament. He joins another USA player Jordan Adams which is already in the roster. 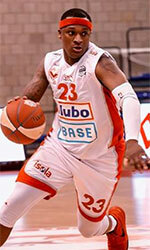 Brown played at Atlas Ferzol in Lebanese LBL league, but left the team in Dec.'18. In three games he had 5.0ppg, 4.0rpg and 1.7apg this season. The last summer he played at Titanes Licey (LNB) in league where in only one game he recorded 6 points, 5 rebounds, 1 assist and 1 block. The list of the past achievements is quite long as among others Brown was voted Eurobasket.com Swedish Basketligan All-Imports Team back in 2014. He is quite experienced player. Brown's career allowed him to visit four different continents, while he played in eleven different countries. Brown tasted the life as pro basketball player in Europe, Asia, Latin America and of course North America. He has played previously professionally in Belgium (Basic Fit Brussels), Germany (Fraport Skyliners II), Israel (Rishon), Lithuania (Rytas), Mexico (Halcones de Ciudad Obregon), Poland (Wilki Morskie), Saudi Arabia (Al Ahli Jeddah), Spain (Real Betis), Turkey, Sweden (Nassjo) and The Basketball Tournament (Always a Brave). Brown attended Bradley University until 2012 and it is his seventh season as a professional player. On Brown: Great shooter, very aggressive in the paint. Loves to play inside-outside and is able to score in very different ways. Athletic player, who goes after the rebounds. Led the team with 14.8ppg and 6.4rpg his senior year in Bradley University. Was nominated All-MVC Most Improved Player of the Year in 2010.